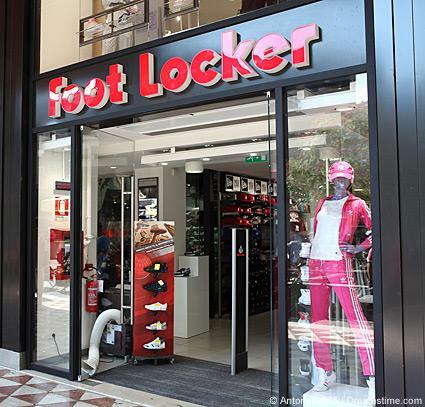 If you're interested in working for one of the stores owned and operated by Foot Locker, Inc. you'll need to fill out an employment application. Applications can be found online and at specific store locations. Footlocker requires employees to be at least 16 years old. If you are under the age of 18, you will be asked to bring a work permit before starting a position. To begin the application process, you will need to print out and fill in a job application to drop off at a Footlocker location. Stores also have copies of applications for you to fill out. Where Can Ex-Convicts Search for Employment? On the application, you will be asked to select where you are seeking employment from nearly 20 options which includes everything from retails sales to human resources to marketing and public relations. Stores are located in the United States, Hawaii, Guam, Canada, Virgin Islands, Europe, Australia and New Zealand. You will also need to indicate on the application whether you are interested in full, part-time, or seasonal work as well as any specific times that you prefer to work. The employment history includes adding your last or current employer's name, your job title, the dates you were employed, why you left the position and your hourly rate/salary. You will also need to give your supervisor's name and a summary of the work that you did along with your responsibilities. For the education background section, you will need to include the name of any schools that you attended, number of years that you completed as well as the degree earned and the type of courses completed. Two business references consisting of name, relationship, how many years you have known each other and a phone number and email address are other requirements. You will then need to sign and date the application. There are numerous opportunities to work with Foot Locker, Inc. To find out what types of jobs the company is currently recruiting for, visit the career center page on the company's website. The corporation hires people to work in various positions in the organization's corporate headquarters, retail divisions, and in logistics/distribution center positions. Working at Foot Locker can be a rewarding experience. Foot Locker's employee benefits program is outstanding. It includes paid vacation time for full time workers, employee stock purchase opportunities, a 401(k) plan, health insurance, and more. The company also offers extensive coaching and training opportunities for associates.